After I released my, “$7,200 in forward taxable dividend income goal“ article for 2018, you should have a great sense why I have so many stock purchases. Additionally, I CRUSHED $12,000 in forward dividend income, as well as my $7,200 2018 goal (linked above). Furthermore, I am finally/soon to be eligible to contribute to my new employer’s 401(K) plan (will start on 2/1/19, due to 6 month waiting period). Therefore, I currently have more cash on hand to deploy in the market and it made sense to start juicing up my taxable account. The stock purchases you will read below may not be as significant of a purchase that I typically make (primarily due to building positions, etc.). However, enough of my rant, let’s see what stock purchases I made over the last two weeks! Price to Earnings: At $59.99 with a forward earning projection of $4.50 for 2019 (based on 25 analysts), this equated out to a p/e ratio of 13.31, which is below the overall market on average. Dividend Growth: They have a solid streak of 16+ years going for them. Their 5 year and 3 year dividend growth rates are 5.17% and 1.78%, respectively. Not incredible, but a long streak, nonetheless, and one I know will continue going forward. See why the impact of the dividend growth rate is real! Dividend Yield: With the $59.99 price point, at a dividend of $3.12, their yield was at 5.20%, well above the S&P 500 (on average) and definitely higher than my dividend portfolio, on average. Payout Ratio: Based on forward earnings of $4.50 and a dividend of $3.12 per year, this equates to a payout ratio of 69%. This ratio has increased and is slightly above my 60% threshold. The forward earnings was lowered due to the decline in oil pricing. In summary, I purchased an additional 19 shares on 12/21 at $59.99 with a $3.95 trading fee for a total cost of $1,143.76. The 19 additional shares added $59.28 to my forward dividend income projection. 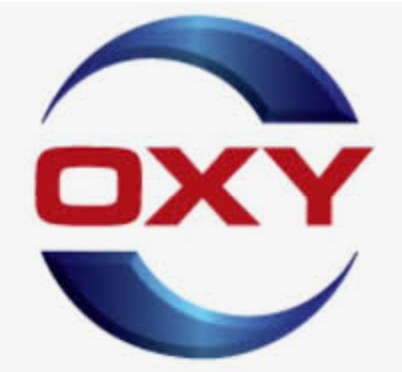 In total, now, I own 45 shares of OXY, which produces $140.40 in dividend income per year. Price to Earnings: At $76.00 with a forward earning projection of $9.65 (2019 projection from 12 analysts), this equated out to a p/e ratio of 7.88, which is significantly below the overall market on average. Dividend Yield: With the $76.00 price point, at a dividend of $4.08 (after currency translation to USD), their yield was at 5.37%, well above the S&P 500 (on average) and definitely higher than my dividend portfolio, on average. Payout Ratio: Based on forward earnings of $9.65 and a dividend of $4.08 per year, this equates to a payout ratio of 42%. A nice sweet spot, as they are above the 40% but below the top portion of the payout ratio at 60%. In summary, I purchased an additional 15 shares on 12/21 at $76 with a $3.95 trading fee for a total cost of $1,143.95. The 15 additional shares added $61.20 to my forward dividend income projection. In total, I own 104+ shares of CM, which produces a total of $424.32 in forward dividend income. I deployed a total of $2,287.71 in capital and added $120.48 in forward dividend income. This equates to an average yield of 5.27%. However, this journey is far from over and gosh dammit, I need to lace up my boots and continue to move forward. Let’s go and get it everyone! Turn that noise off everyone. Stick to the strategy that has worked for you and review to see if there is anything that you need to see out there that may impact your strategy going forward. You are in control and the emotion button is hard to turn off. Persevere and stay consistent, if you can and are able to. Lastly, my dividend portfolio has been updated and I am locked in and ready for further opportunities. This entry was posted in Investment Activity and tagged CM, Dividend Diplomat Stock Screener, OXY, stock purchase. Bookmark the permalink. 5.27% yield on December investments…dang that sure is a nice yield. Glad to hear your are still excited to keep the pedal to metal for 2019 ans wish you the best of luck with the start (restart) of your 401K contributions. Thank you! Love the yield too, especially on entities that aren’t completely awful in their payout ratio. The 401k starts up in the first pay in February, pumped to see that automation. Love turning that noise down and making moves based on metrics! Dividend investing, let’s get it MDD!! Well done Lanny, just buy consistently and you’ll be allright! Thank you very much for the comment, love seeing the newly added income! Always love seeing Americans buying these Canadian Banks, they are just so cheap at the moment! nice addition to your forward income too. Got to love adding to positions. YEP! I am guilty as charged over here. Can’t wait for CM’s next few increases this year, and… that reinvestment as well, as this price is just “too sweet”! Yup tune out that noise and buy great stocks. Keep it up. Noise down and capital deployed. Over and Out! I could not agree more with your note to tune out the noise and remain true to your strategy! You’re doing a great job of that and these look like nice buys; I’ve not looked into either of them previously but I like what you’ve shared here icon each of them. Yes sir! I appreciate it and man… just couldn’t keep pace, though, with the overall income you received in December, still in awe, as you can see. Like me, you are very consistent with your buys. Always nice to see that despite market turmoil the buying continues. 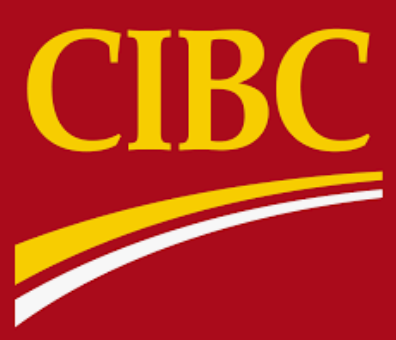 I’m still a fan of the Canadian banks though they have faltered a bit as of late. Still sticking with my TD, BNS and RY but also considered BMO and CM. Either way, nice yield and forward dividends you added! Thank you and I’ve been trying to keep pace, but I would say you are definitely more consistent than I am with the buys. Yours are strong and paying nice/increasing dividends and that’s what we like to see! Absolutely killing it man, keep up the great work. Keep those buys rolling in. Thank you, struck while the iron was mighty hot, and I’m excited for 2019 – made a few purchases last week, trying to start it out with a bang! Congrats on the purchases Lanny and for taking advantage of the volatility in the Stock Market. I wish I had additional funds to invest but didn’t. It shows that it pays to have cash on hand sometimes. Looking forward to following your progress in 2019. Another solid couple of purchases, adding a nice amount of forward dividends. Keep it up! Some high yields and hopefully good investments! I bought into AT&T near it’s low a few weeks back and it yields 7.4% for me. Thoughts on AT&T?